Anxious Weezer fans can finally rest assured: the Black Album is coming. With last week’s release of “Can’t Knock the Hustle”, a funky, Beck-inspired single, Weezer announced that its much anticipated Black Album will be released in 2019. Disillusioned by the band’s obvious attempts for pop stardom—think “Beverly Hills” and “Happy Hour”—Weezer purists who long for the rough-around-the-edges ethic of the Blue Album and Pinkerton are hoping for a return to original form. With frontman Rivers Cuomo’s 2016 promise that the Black Album was going to be “really different”, purists believe they have reason to be hopeful. The Black Album will be experimental, but not in the way that Weezer purists hope. 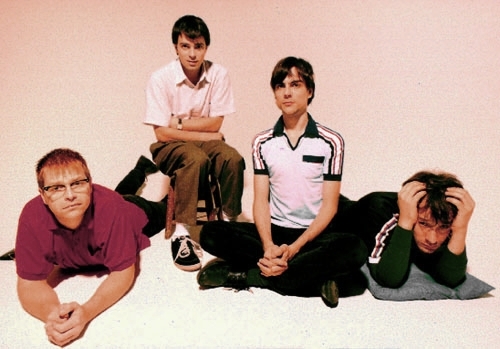 For fans of Weezer’s earlier work, the term “experimental” evokes the messy guitar bridges and adorably depressing lyrics of Pinkerton. But to Rivers Cuomo, all of that is old news. For Rivers, experimental means synthesizers, trumpets, drum machines, urban beats, and, likely to the chagrin of Weezer purists, production gloss. The old “distorted power-chord thing” is on its way out, according to Rivers. Rivers Cuomo is a prolific songwriter. And he approaches songwriting like a scientist, distilling pop music down to its fundamentals so that he, himself, can replicate it. Critics who dismiss this strategy as an unimaginative, unadventurous appeal to the pop demographic may have never listened to 2014’s “I’ve Had It Up To Here”. In it, Rivers addresses the scores of fans who have decried him for deviating from the alternative sound of the ‘90s, singing “if you think I need approval from the faceless throng /That’s where you’re wrong”. Rivers understands that endeavoring to write perfect pop music does not earn him favors—the critical responses to Make Believe and Raditude were quite the punch-in-the-face—yet he chooses to do so anyway. Why? Cuomo has an avowed appreciation for a wide variety of music, from the Beach Boys to Post Malone, and a passion for songwriting. To call for the constant rehashing of ‘90s Weezer would be an insult to Rivers’s creative capacities. Pinkerton and Blue are my favorite Weezer albums, but I am not ashamed to admit that I enjoy glossy, poppier songs like Pacific Daydream’s “Mexican Fender” and the White Album’s “I Love the U.S.A.” The newest single, “Can’t Knock the Hustle”, is exciting: it heralds a newer, more eclectic epoch for Weezer music. Purists looking forward to the experimental Black Album will be disappointed, but admirers of Rivers Cuomo have every reason to be pumped.